Below you can view all the homes for sale in the Stratford subdivision located in Marietta Georgia. Listings in Stratford are updated daily from data we receive from the Atlanta multiple listing service. To learn more about any of these homes or to receive custom notifications when a new property is listed for sale in Stratford, give us a call at 404-998-4102. Great Location At A Great Price Point! MLS#6538949. Keller Williams Rlty-Ptree Rd. Entertain Outside On The Large Patio With A Private Setting And Mature Landscaping. MLS#6531326. The Homestore, Llc..
Minutes From Suntrust Park And Battery. MLS#6524966. Chapman Hall Realtors. Easy Access To I-75, Suntrust Park, Chattahoochee Park, & Schools. MLS#6523542. Berkshire Hathaway Homeservices Georgia Properties. Minutes To I-75, Shopping, Restaurants And Suntrust Park! MLS#6508783. Atlanta Communities. Extra Bedroom'S, Bonus Room And Small Potential Workshop Downstairs! Hurry Will Not Last Long! MLS#6503349. Parkside Brokers. 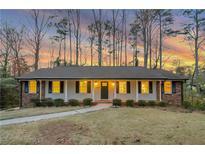 Walk To Sought After New East Cobb Schools! MLS#8511322. Magnolia And Main Realty Llc.